It Is A Unique Pearl Jewelry! Suitable For All Kinds Of Party. 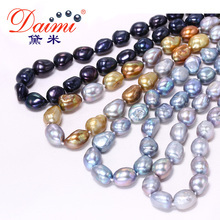 About the baroque pearls new color, I personally love the color pearls. so I found the very unique color share to you. color pearls quantity is limited . if you do like them , don’t miss them! 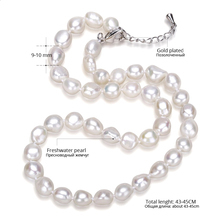 Add classy elegance to any formal outfit with this Freshwater Cultured Pearl Necklace. 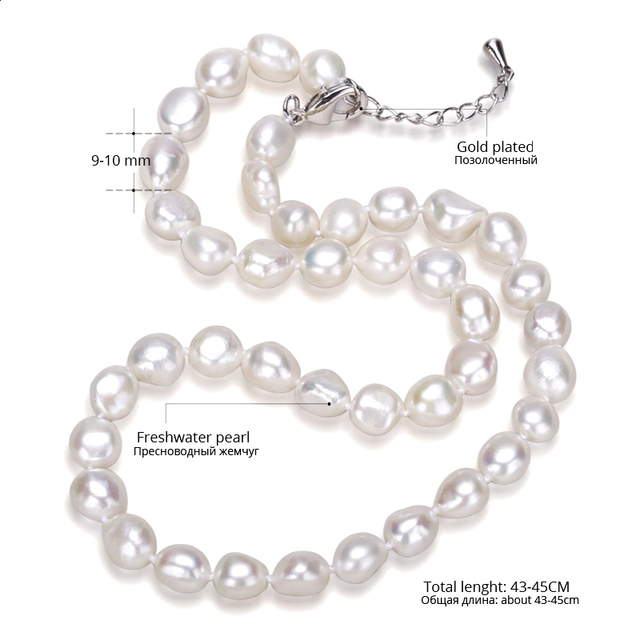 Handpicked natural white color pearls on an adjustable clasp to assure the perfect fit. 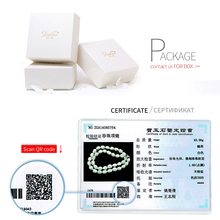 The pearls have variable uniformity and good luster, each measuring 9-10mm millimeters wide. 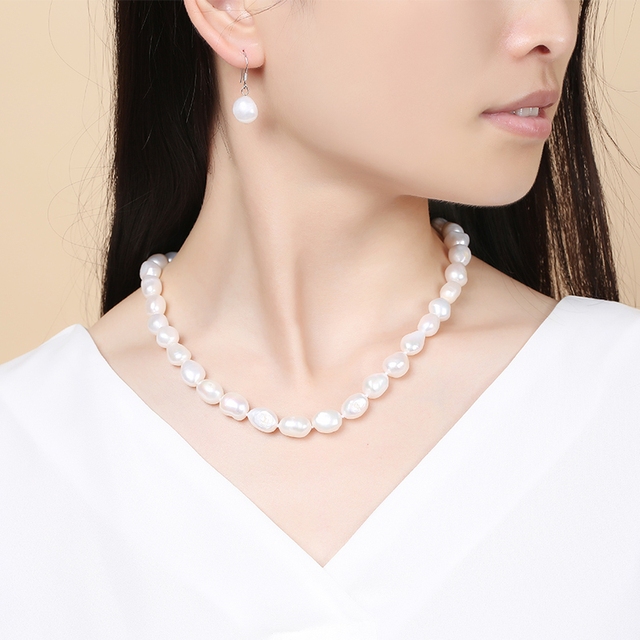 The baroque shape of these simple pearls create a heirloom-quality piece that you’ll want to wear for years to come. Pair this delicate Necklace with your favorite little black dress for a look that will turn heads wherever you go. 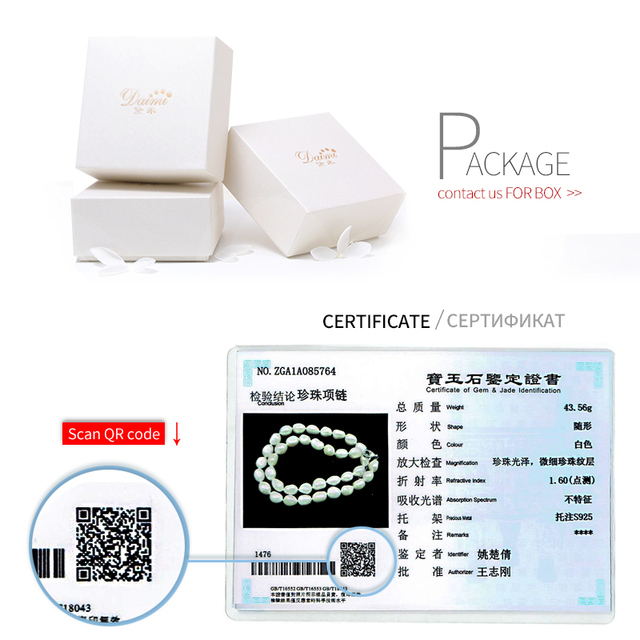 We only source the highest quality pearls for our Necklace. Very beautiful. And a wonderful price. Arrived in uk in 18 days. Highly recommended store and will purchase from again. Thank you. Item exactly as described/pictured, securely packaged and super fast shipping, 12 days from order to delivery. 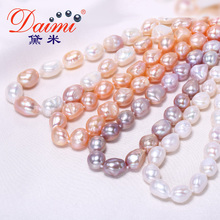 Beautiful pearls and quality product, thanks again store.